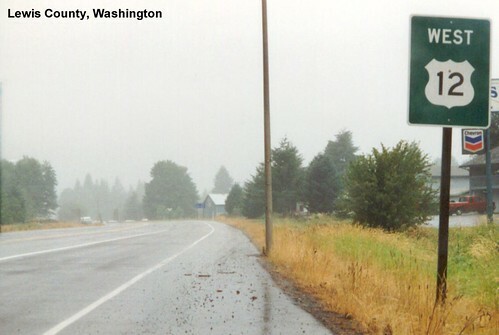 Welcome to Washington, The Evergreen State. 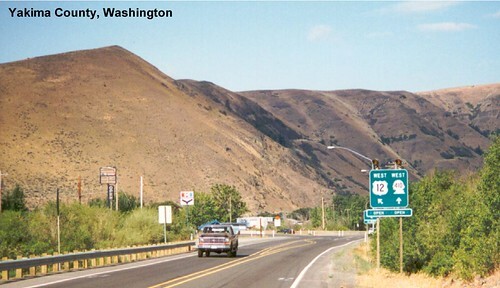 The trip through eastern Washington featured large barren mountains. 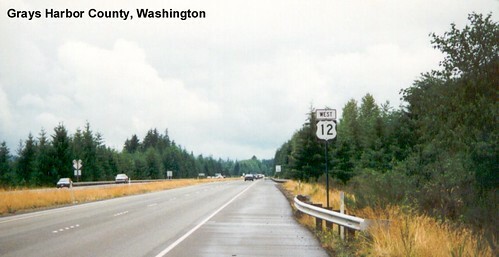 US 12 is multiplexed with I-82 for many miles. 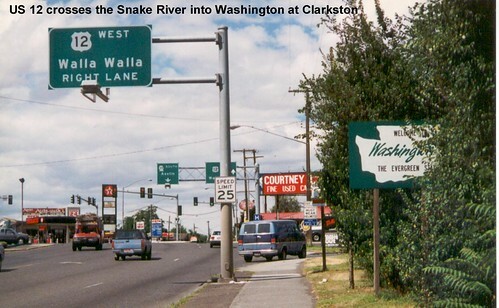 Once we leave I-82 we head towards the Cascades. 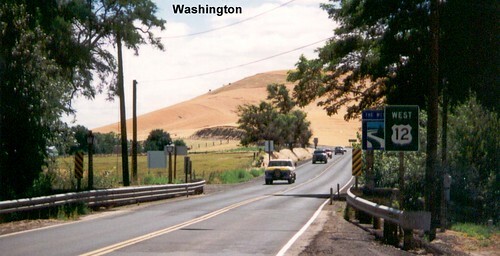 A sign advising which routes across the mountains are open. 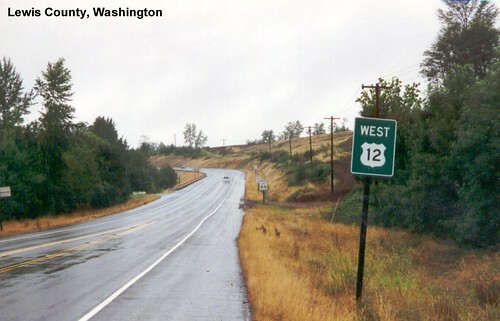 When we reach the west side of the mountains we are greeted by rain. 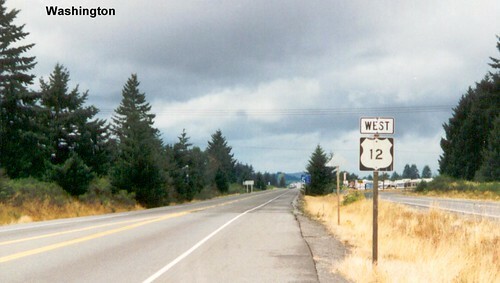 The weather clears a little as we head out toward the coast. 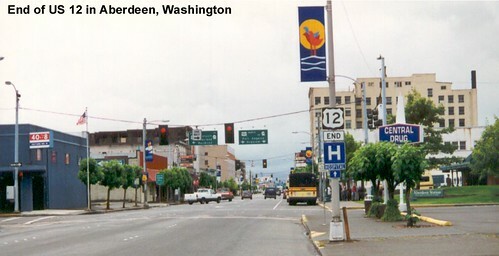 US 12 ends at US 101 in Aberdeen.